Widden Stud has had great success in making young sires and the latest “new kid on the block” is Fastnet Rock’s son Your Song. The Gr.1-winning sprinter from the all-conquering Danehill male line, entered stud in 2013 and his first yearlings are at the sales in 2016. Filipino businessman Eduardo Cojuangco, is one of the country’s most successful breeders from his base at Gooree Park Stud near Mudgee in NSW with the likes of Swift Alliance, Smart Missile, Northern Meteor and Your Song among graduates of the property. Gooree’s red and black striped silks have been a fixture on racetracks for more than 40 years, with many of the best colts to carry those colours finding a place at stud. 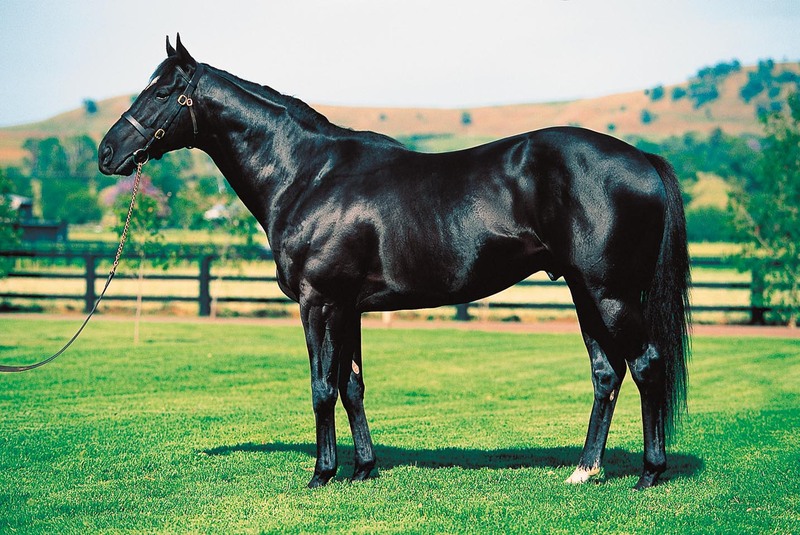 Widden Stud had enormous success with Gr.1 winner Northern Meteor (Encosta de Lago-Explosive (USA) by Fappiano) in his four seasons at stud before his untimely death in July 2013, his 469 foals including Gr.1 winners Amanpour, Cosmic Endeavour, Romantic Touch, Shooting to Win, Speak Fondly and Zoustar. Now Widden and Gooree have teamed up again to stand the brilliant sprinter Your Song (Fastnet Rock-Zembu by Fuji Kiseki (JPN)), a Gr.1 winner whose first yearlings are at the sales in 2016. It would be hard to find a more commercial pedigree as the sires in his third generation read (from the top), Danzig, Royal Academy (USA), Sunday Silence and Mr. Prospector and he traces to one of the really great race mares in Pretty Polly, an English Triple Crown winner in 1904 and an exceptional progenitor whose descendants include Northern Dancer’s sire Nearctic. He is inbred 4mx4f to Nijinsky, and also has duplicates of that horse’s sire Northern Dancer and of Northern Dancer’s dam Natalma and her half-sister Cosmah. Trained by Anthony Cummings, Your Song started his career as a late two year-old with a third behind Albrecht (1250m) on a heavy track at Canterbury on June 6, 2012. He opened his account later in the month with a win over She’s a Stalker at Warwick Farm (1300m) on a slow track. He struck a heavy track at his third start and still accounted for Forever Crazy by 1.5 lengths at Rosehill (1400m) on July 7. He next raced on August 1, stepping into stakes company in the Run to the Rose-Gr.3 (1200m) on a good track at Rosehill and was far from disgraced when 1.25 lengths second to champion Pierro, with Gr.1 performer Epaulette a similar margin away in third and All Too Hard fifth of the six runners. Unplaced in the Golden Rose-Gr.1, he was then third behind the Fastnet Rock filly Jolie Bay in the Roman Consul Stakes-Gr.2 on October 6 before being given a break. Your Song made a stunning return to the track on May 11, 2013, absolutely donkey licking a class field in the BTC Cup-Gr.1 (1200m) and still running 1:11.27 on a track rated a heavy nine. Your Song was five lengths clear of runner-up Rain Affair, with third and fourth placegetters, Better Than Ready and Buffering, more than six lengths from the winner. “He has always been a special colt and we were so thrilled to see him come out and prove that in this Gr.1 win,” Gooree Stud racing manager Monica Barrera, wife of Anthony’s son James Cummings and grandaughter of Eduardo Cojuangco, said in announcing the colt would retire after just two more starts. Your Song was sixth (four lengths) to Epaulette in the Doomben 10,000-Gr.1 (1350m) on a dead track on May 25. He was five lengths behind Linton when unplaced in the Stradbroke Handicap-Gr.1 (1400m) on a dead track on June 8 and retired with six first three placings in nine starts and earnings of $447,180. He covered 167 mares at $22,000 in his first season, including strong support from the Gooree broodmare band. Some of the resulting 127 live foals are at the sales this year. He again had big books in his two subsequent seasons at the same fee. “He’s a colt who has the pedigree, the good looks and that Gr.1 winning brilliance. Fastnet Rock is Australia’s dominant sire so to have the opportunity to stand arguably his most dominant son is incredibly exciting,” Widden Stud’s Antony Thompson said after the Gr.1 win. 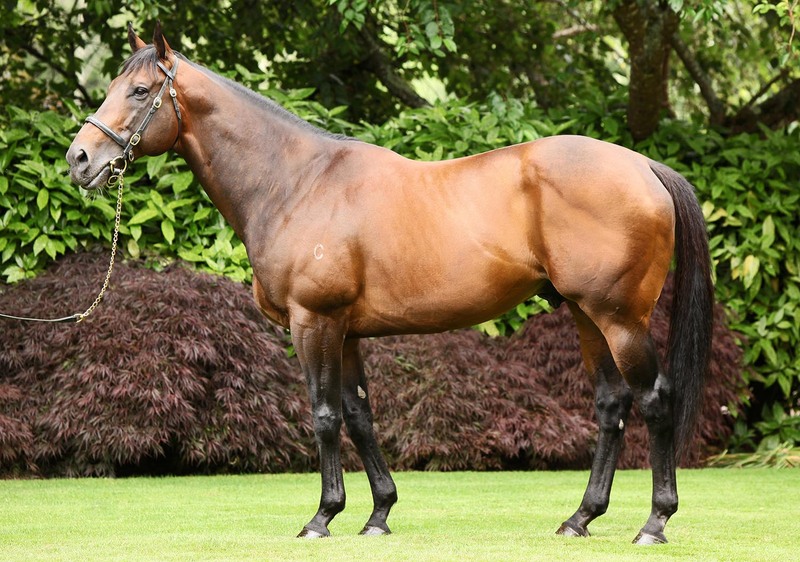 His sire, the Coolmore-based Fastnet Rock (Danehill (USA)-Piccadilly Circus by Royal Academy), currently the most expensive stallion at stud in Australia with a fee reportedly around $200,000, went to stud in Australia in 2005 and Ireland in 2010 and has a wonderful record in both hemispheres. Champion Sire in Australia in 2011-12 and 2014-15, he has 685 winners (67% of starters) of more than $84m (Winning Distance Index 1405m). 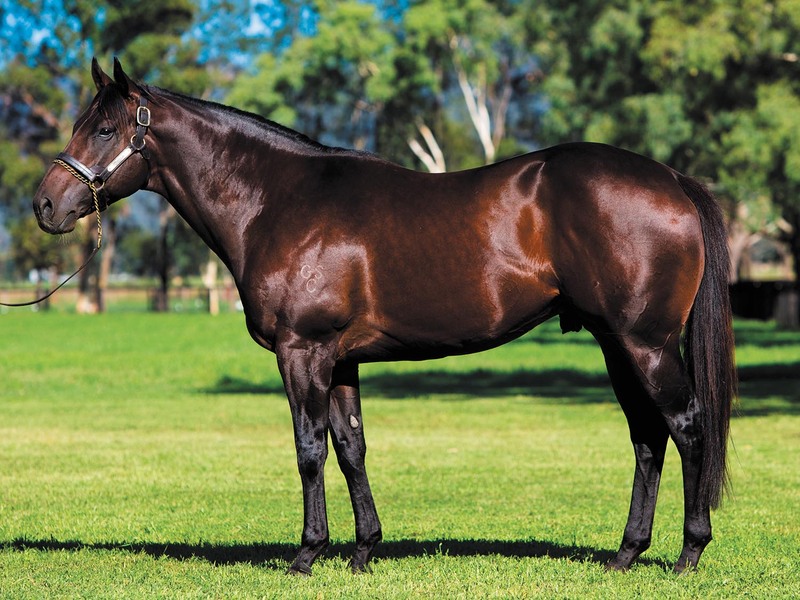 His young son Hinchinbrook (ex Snippets’ Lass by Snippets), a Gr.3 winner and Gr.1 runner-up who stands at Yarraman Park, Scone, was the Leading First Crop Sire in Australia in 2014-15, ably backed up by freshman companions Stryker (Woodman) and Rothesay (Woodman). This is a great pointer to the success of his young sire sons yet to have runners including Your Song, whose second dam is by Woodman’s sire Mr. Prospector. Fastnet Rock won six of his 19 starts and placed nine times for earnings of $1.7m and his Gr.1 wins came in the Lightning Stakes-Gr.1 (1000m) and Oakleigh Plate (1100m). He was fourth in the Golden Slipper-Gr.1 at two when runner-up in the Pago Pago-Gr.2 and third in the AJC Sires’ Produce-Gr.1. His sire was a champion at stud in Europe and Australia (nine times) and has left many top class sire sons including Danehill Dancer (IRE), Exceed and Excel, Flying Spur, Danzero and Redoute’s Choice. Fastnet Rock’s dam is by champion sprinter miler (July Cup/Breeders’ Cup Mile), Royal Academy, a son of Nijinsky and from the family of Storm Cat (a line that should suit Your Song). Piccadilly Circus won the Blue Diamond Prelude-Gr.3 at two and placed in the Blue Diamond-Gr.1 and her stakes winning dam Gatana, by the Golden Slipper winner Marauding (Sir Tristram (IRE)-Biscalowe by Biscay) was also runner-up in the Newmarket-Gr.1. Piccadilly Circus is a sister to Group-winning sprinter and sire Raheeb. Eduardo Cojuangco purchased the historic properties Cullenbone, Biranganbil and Galambine in 1979 to form an agglomeration known as Gooree Park. In addition to thoroughbreds there is also a successful winery and 400ha under vine, along with Wagyu cattle, sheep and cropping. There are many imported mares and their descendants in the high-class broodmare band and Your Song’s dam, Zembu, is from a stellar family, with her imported dam being by breed shaper Mr. Prospector and from a daughter of the great Nijinsky. Zembu was a juvenile winner in Melbourne and is already dam of three winners. She is by Champion Japanese Two Year-Old Fuji Kiseki (Sunday Silence-Millracer by Le Fabuleaux), a leading sire in his home country and a former shuttler. Fuji Kiseki is by Kentucky Derby winner and Japan’s super sire Sunday Silence. He is a son of Halo, also grandsire of Vinery’s More Than Ready (USA), a horse whose daughters could prove very good foils for Your Song. Second dam Wanice (USA) (Mr. Prospector-Jood by Nijinsky) won in France (1800m) and produced five winners. She is a half-sister to six-time Gr.1 winner and sire Fantastic Light (by the Blushing Groom sire Rahy), the Champion Older Male in Europe in 2001 and Champion US Turf Colt that same year, and to Listed winner and Gr.1 placed Hi Dubai (Rahy). They were among seven winners produced by Jood, whose dam Kamar (by Key to the Mint, a son of Graustark) won the Canadian Oaks and produced seven winners including Gr.1 winners Gorgeous (Slew o’Gold), Seaside Attraction (Seattle Slew, dam of Gr.1 winners Golden Attraction and Cape Town). Next dam Square Angel (Quadrangle-Nangela by Nearctic), a Champion 3YO Filly in Canada and Canadian Oaks winner, also producer the Gr.1 winner Love Smitten to Key to the Mint. This sister to Kamar is the dam of multiple Gr.1 winner and sire Swain (by Nashwan, a son of Blushing Groom). Fantastic Light shuttled to Australia for five seasons (2002-06) and left more than 420 foals. He’s another whose daughters could click with Your Song and also worth considering are those by the Blushing Groom champion juvenile Arazi (USA) who stood in Victoria as an older horse (from 2003) and left about 190 foals. Your Song’s sixth dam Nangela carries a 3fx5f cross of Sister Sarah (Abbots Trace-Sarita by Swynford), who is second dam of Nearctic. This cross comes via daughters Lady Angela (Hyperion) and Sybil’s Sister (Nearco) and Nangela has the three-quarter sisters Lady Angela and Sybil’s Niece (by Hyperion’s son Admiral’s Walk and from Sybil’s Sister) 2×3. She also has the mare Scapa Flow 4mx5m via brothers Pharos and Fairway. Pretty Polly (Gallinule-Admiration by Saraband) is the third dam of Sister Sarah and this is family 14c, and the branch established by Pretty Polly’s daughter Molly Desmond (Desmond). There have been many famous sire descendants of Pretty Polly including Vienna, Brigadier Gerard, Premonition, Nearctic, Northern Taste, Diktat, St Paddy, Great Nephew, Pardao, Donatello II, Catbird, Huntercombe, Supreme Court, Lord Seymour, Arctic Explorer and The Cobbler, to name just a few. 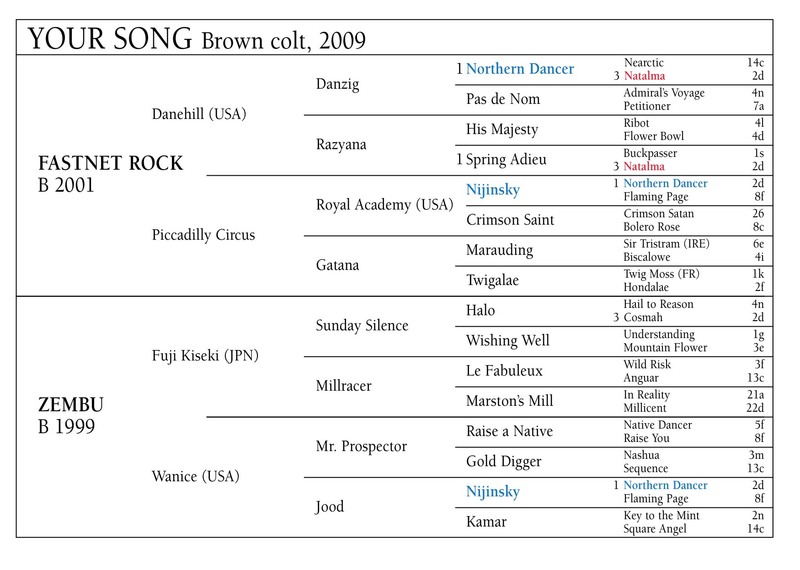 Young Song has Northern Dancer 4m,5mx5m (via Nijinsky 4mx4f and Danzig) plus line breeding to his dam Natalma and her half-sister Cosmah. Your Song’s first crop youngsters have already proved popular in the sales ring with the weanling filly from Swing Dance making $150,000 at the Magic Millions in 2015 and the colt from South Terrace making $90,000 at the same sale. Widden has seven by Your Song at the Magic Millions including colts from Ceol Na Sraide (IRE) (King’s Theatre), a half-brother to two stakes winners including The Voice from the family of Danehill, and a filly from Champagne Sisters (Anabaa), the dam a half-sister to Rutherford Eagle and from Gr.3 winner Vestey. There are 29 by the sire catalogued for the Gold Coast, a sure sign breeders feel they are ideal types to appeal to buyers looking for precocious juvenile who will come to hand in time for the rich MM 2YO Classic the following January. Among them are colts from Gr.3 winner Stylish Lass (Barathea), Listed winner Hoss Amour (General Nediym) and imported Listed winner and Gr.1 placed Moon de French (Malibu Moon), and fillies from Listed winner Secret Status (King Cugat) and Listed placed Woodala (Woodman). With his race record, good looks and this family tradition of Gr.1 winners generation after generation including successful sires, plus the great start he will be given by his owner and Widden’s superb track record for making stallions (think Bletchingly, Vain, Marscay, Northern Meteor, Sebring, Stratum), there is little doubt we will be hearing a lot more about Your Song, who is sure to be top of the hit parade with breeders for many years to come.